HomeFor ClientsAnalyticsForex Analysis & ForecastsForex Technical analysis and forecastsForex Technical Analysis 2010/11/07. EUR/USD, GBP/USD, NZD/USD, AUD/USD Forecast FX. Forex Technical Analysis 2010/11/07. EUR/USD, GBP/USD, NZD/USD, AUD/USD Forecast FX. Pound is still inside the rising channel. 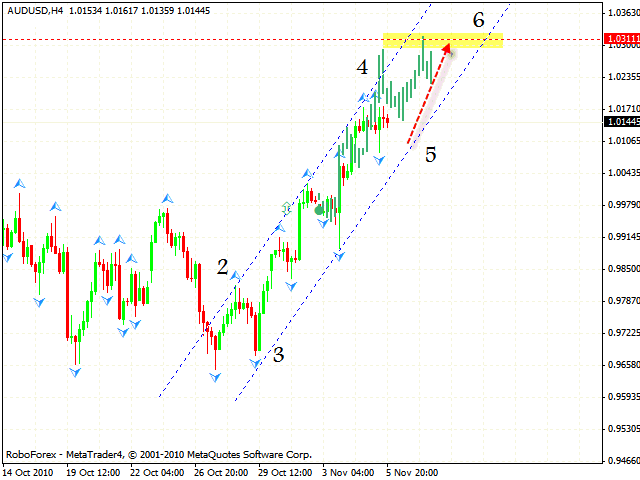 According to gbpusd forecast you can try to buy the pair with the target in the area of 1.6410. 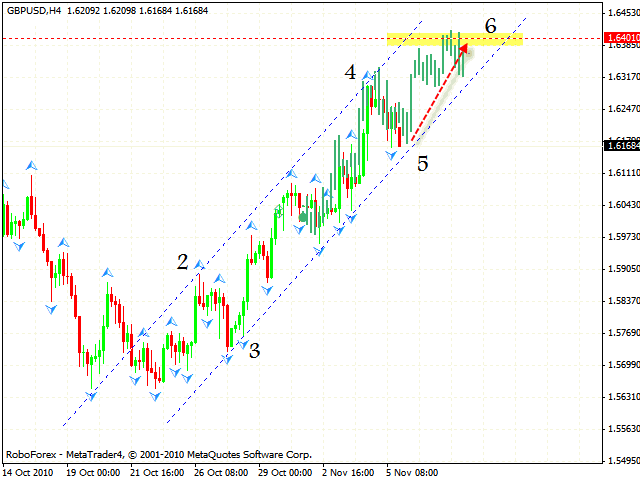 We recommend you to buy with the tight stop starting from the channel’s lower border. In case the channel is broken, one should close long positions. 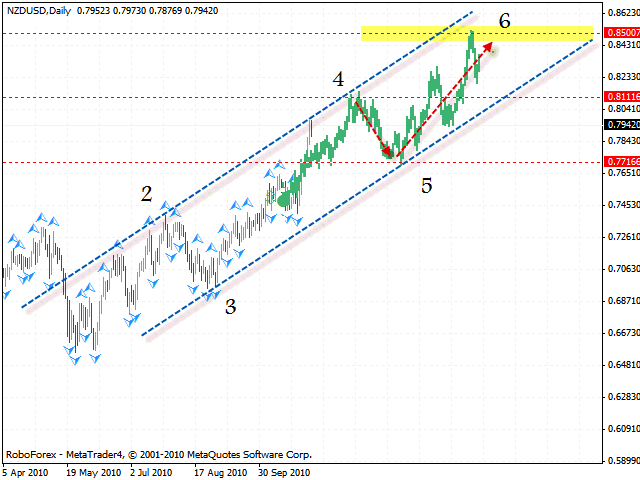 As we can see by nzdusd forecast, New Zealand Dollar keeps moving upwards. When the price reaches the area of 0.81110, we should expect the correction. The price is going to fall to the level of 0.7715 where we should consider buying the pair with the target in the area of 0.8500 during a long-term period. 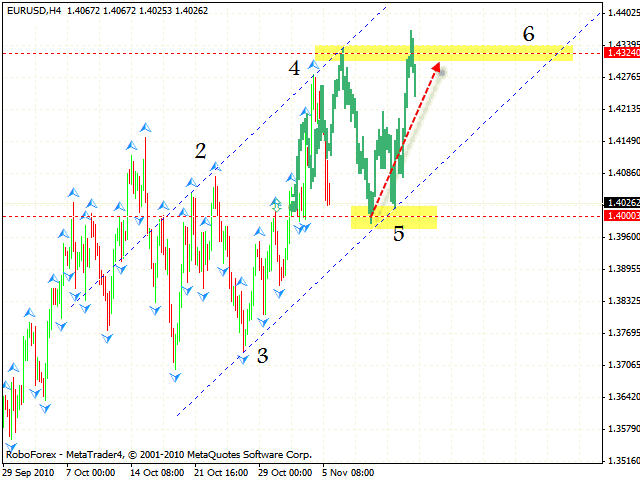 In case of the AUD/USD currency pair the situation is quite similar to other pairs. The pair is also inside the rising channel. The target of the symmetrical pattern is the area of 1.0310. Judging by forex analysis aud usd you can try to buy the pair with the tight stop starting from the level of 1.0105. If the price leaves the channel, one is recommended to stop buying the pair.